Looking for something cheeky? 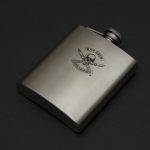 We wouldn’t recommend giving flasks out as promotional swag or to clients— unless you are a liquor company. 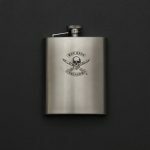 However, when you share a bond with people, such as employees, nothing better than keeping the good times rolling with a branded flask. 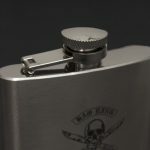 These top quality stainless steel flasks are so awesome, friends and co-workers, will be proud to sport their support. These flasks can be personalized as well. At Brand and Ink, we are personally enjoying these babies with our friends and supporters. So trust us when we say we know swag that’ll sure to bring people together around a banner.